Boydel™ is a British Columbia, Canada, based wastewater treatment technology development and licensing Company.​​ The company was started with the mission of developing a better, more controllable and reliable raw sewage treatment technology, which we have accomplished. Boydel Distributors and their end users are now enthusiastic about discovering what other advantages and capabilities the WaterMiner might bring to difficult industrial feedstocks. BOYDEL has engineering, lab testing and demo facilities at Chemainus, B.C., Canada on Vancouver Island. We are located one hour north of Victoria, B.C., Canada and only one and half hours from Victoria's International Airport, YYJ. Boydel is always looking to engage with qualified EPCM wastewater contractors from around the globe, Companies who may be interested in adding to their current technology toolbelt of conventional solutions by licensing Boydel's patented CFECT™ based WaterMiner family of treatment platforms. We are happy to discuss exclusive or non-exclusive territories or markets. A GLOBALLY REVELANT PREDICTABLE, CONTROLLABLE AND COST EFFECTIVE WASTEWATER TREATMENT TECHNOLOGY SOLUTION​. Executive, General, Sales and operations experience across a broad range of industries including industrial electrical wholesaling, steel fabrication and most recently for twenty years as a General Manager for a regional explosives manufacturing and sales company and then later, for a large international explosives company operating in BC, Yukon and Alaska. Broad global business experience including technology development, the founding of a robotics and automation company, being part of the executive team for an unmanned submersible log harvesting company and experience in the global mining sector. Norman brings a depth of international business travel and negotiations to Boydel's licensing and general business strategy responsibilites. Global experience in wastewater electrochemical systems and membrane barrier systems. Has been involved in wastewater business and technical operations in among other places, Canada, USA, Mexico and Singapore. 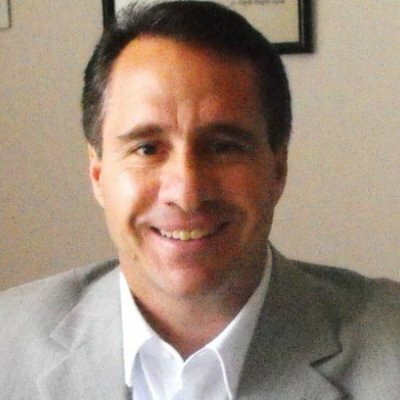 Hector will lead the development of the current technology capabilities, develop new core IP, as well as develop pre and post support technology application strategies. 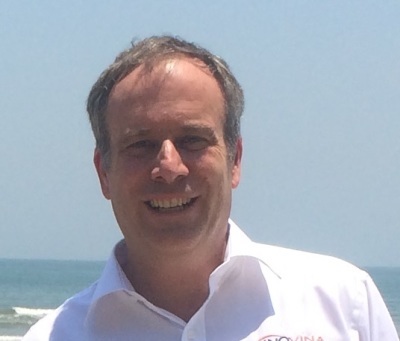 Hector will assist the sales team to develop the WaterMiner capabilities in new feedstocks. 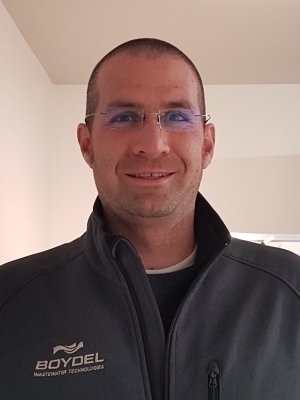 Having numerous operator positions in the USA WWTP industry and with associated WWTP operator certifications, Dan brings a hands on knowledge of biological process plants and understands the major benefits of the WaterMiner. Dan commissioned and operated Boydel's WaterMiner based, Kingman, Arizona raw mixed septage site and has robust operator knowledge of the CFECT process. Dan will be onsite to commission and train our Distributor trainers in the USA and around the globe. 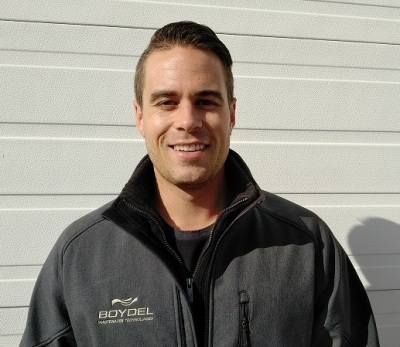 Ryan will be Boydel's Canadian demonstration plant, pilot plant and permanent plant installation Project Manager as well as assist the global Sales & Technical Solutions teams. as our new Director of Engineering. Justin, with important input from Boydel staff, regulatory bodies and our distributors, will be leading the progression of new reactor designs and the design of complete technology platforms. All CAD work, PID's, PFD's and manufacturing drwings will come from Justin's desk and his support team. Justin brings a dozen years of product design and development experience to the Boydel team. He has worked in many highly technical industries including machine design, aviation, marine as well as consumer products. With the end user needs always in mind, Justin will approach the engineering design of each installation as a custom or semi-custom project requiring end to end consideration of a projects unique operating parameters and constraints. This profesional mindset will ensure success in the field for our clients and Boydel. 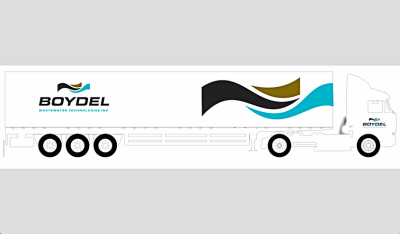 Mobile "Roll Up an Run™"
Boydel's modular CFECT™ process based plants are supplied in white, steamship certified, single use containers, in 6.1 to 12.2 meter sizes. Insulated and ready on arrival at the job-site to receive the mains power, along with feedstock, effluent and sludge lines, with platforms fully processing in about 30 minutes after start-up. Boydel's truck and trailer mount platforms are ideal for emergency response applications, and for quick scale up piloting work at new feedstock opportunities. and the mains power, the Boydel WaterMiner is designed to be fully processing in about 30 minutes. 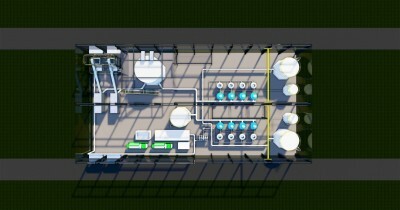 Boydel's permanent facilities will typically be of a 4 to 8 cell configuration design. Larger plants will be multiples of the 8 cell schematic shown above. This scalable, multi ECR module, kit like approach, will greatly reduce costs and accelerate commissioning.